It is a French Café that turns into an awesome nightclub after dark. It is just adjacent to the sea beach. This café was once the summer house of Mrs. Napoleon Bonaparte that later turned into a hotel. During the day you can enjoy some casual lunch and then after dinner it’s a party place. The music and DJ are very good and the whole bar floor turns into a dance floor. The staff is friendly and the drinks are reasonably priced. 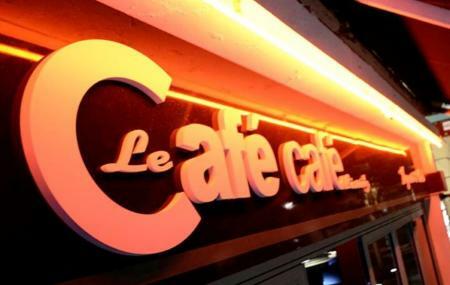 How popular is Le Cafe Cafe Biarritz? People normally club together Port Des Pecheurs and Casino Barriere De Biarritz while planning their visit to Le Cafe Cafe Biarritz.